a3Genealogy: Trends, Tehcniques, Technologies and Touching Visuals! Trends, Tehcniques, Technologies and Touching Visuals! The Greatest of These: Touching Visuals! A true Professional Genealogists is in a constant learning state: newest trends, techniques and technologies. But we also practice the forth T – touching! At any given conference you are thrust into workshops highlighting the new trends – emerging fields of interest like medical genealogy; and introductions to the newest and greatest societies, associations, and text; as well as peer-work. New techniques to include researching references and updates to professional citing are plenty. And of course “clouds” of technologies swarm the conference halls. But with all the black and white, where is the grey? The grey that lights up our sense of “touching” – making genealogy so real and personal - is that emphasized? The grey of the past that makes it today’s reality? 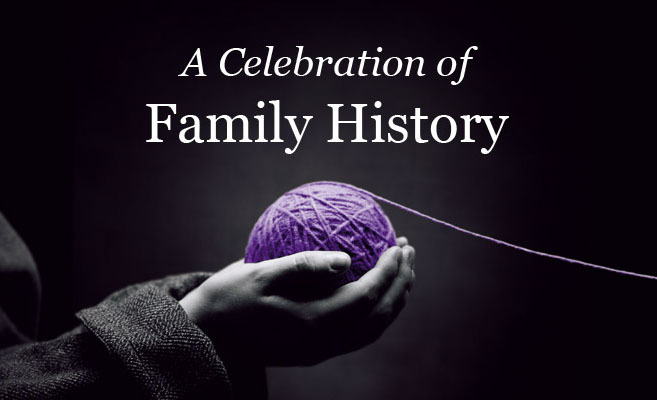 The “Celebration of Family History” videos were overwhelmingly touching. Matter of fact, I venture to say, that these videos reminded each present that our work as family historians and genealogists is not just of trends, techniques and technologies, but of a past that has made a bit of our present shadowed with the grey of the past. The following videos are reminders to thread your family tapestry from the past to the present. Letters from Estonia gives us the taste of a forced separation of loved ones due to wars, and conflicts. But, the touching story also allows us seek a healing bond by reuniting with the fragile family ties of the past. Finding Emma is not just another story of leprosy and a leprosy colony. It’s about the suffering of those who were afflicted, the heart break that affected generations, the unanswered questions that fell on the Kalaupapa (Hawaii) colony, probably not unlike others, but quite personal to the researcher who finds exile stories in their past. Clan McCloud gives us the power of how learning and knowledge of our ancestors can bring the family together. And this blessing was hailed and promoted through a child’s interest in the Great Highland Bagpipe. Each of these videos somehow had a direct relation to my endless searches for clients and my research on my own family. It didn’t matter that my ancestors were not from Estonia neither did they have to suffer in an exiled colony. And in spite of the gratitude I feel towards my brothers for never picking up the bagpipe (we endured enough family damage with brother Todd’s clarinet lessons and brother Rhett’s constant drumming- and believe me basement music rooms are not far enough buried underground), our family was united through music and performances. Of course, early immigrant ancestors have united our family through reunions, and new friendships, even though I envision their travels to be far different from that depicted in Woven Generation. The common thread in each of these stories is how our “ancestral learnings” connect each of us to the past in a rather peculiar, unique and precious way, each event making up a bit of our present self. Giving thanks to FamilySearch for making these videos available. Congrats on your nominations for 20 top Blogs! You captured beautifully in your reviews here the common thread so many family history stories have with all of us. I'm a new blogger, and that's what I'm really trying to do with my blog. Family Archaeologist explores a century of family letters, diaries, and artifacts, and how they illuminate history and the humanity we all share. I hope you check it out. In the last month, I’ve shared 100th anniversary of photos, diaries, and love letters -- and next week the biggie -- my grandfather's diary of his trip to America -- started on Christmas eve a century ago.